When the schedule for this year’s Jazz Fest was released earlier this week, one can be almost certain Ellis Alexander cast a keen eye upon it and began making plans. 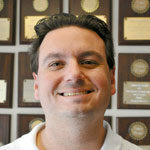 One might describe Alexander, the Hahnville resident and St. Charles Parish School Board member, as an aficionado of the annual New Orleans Jazz and Heritage Festival. 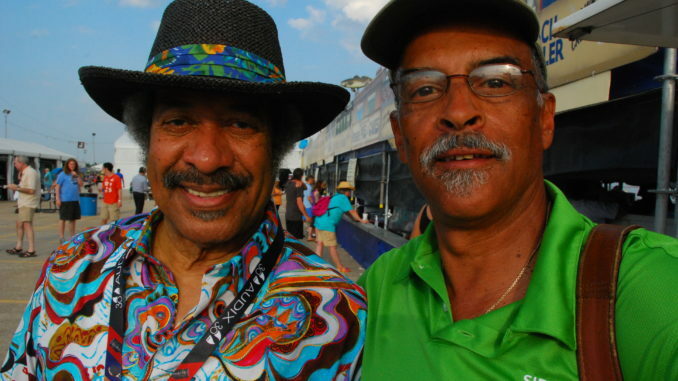 Alexander has attended Jazz Fest for 44 straight years after attending it for the first time in 1971, which was the event’s third year of existence. Alexander and three of his friends took the musician up on that offer, and it proved a fortuitous decision. He said he loves to listen and appreciate all of the different bands — and tries to do so as literally as possible, something that he admits often has him flying solo at the event. One particular performance he says he’ll never forget happened in the mid-1970s, when Stevie Wonder took the stage to play with The Meters. A Jazz Fest regular, he’s grown a great appreciation for New Orleans singer and guitarist Walter “Wolfman” Washington. Alexander said he never really thought about how many years he’d gone consecutively until the last few years, when he heard others noting how many times they’d been to the event. He has even met more than a few of the event’s performers. Alexander has taken numerous pictures at Jazz Fest over the years, and he often brings those photos with him to the festival. Sometimes he gets one signed — other times, he makes the artist a deal of sorts. It doesn’t always go according to plan, he admits. But after some maneuvering, he did just that, and offered Hancock his choice of a photo if he’d sign the others. The legendary musician took a liking to one and agreed. He sought the help of a nearby security guard—but the guard recognized Alexander as the same person who he had appealed to earlier to allow him to speak with Hancock. Whether he’s able to leave with a few signed mementos or not, Alexander says you can’t beat the experience of attending Jazz Fest.